Offset's New Tattoo Let's Face It ... I Love Kulture!!! Offset loves playing the name game -- when it comes to tattoos -- and now he's got one on his cheek of his baby girl's name. The Migos rapper showed off his new ink Saturday ... a giant "Kulture" tat on his face in honor of his daughter with Cardi B. This isn't a first for Offset -- he's also got a tattoo on the other cheek with his youngest son's name and a big shoulder tat for his oldest son. 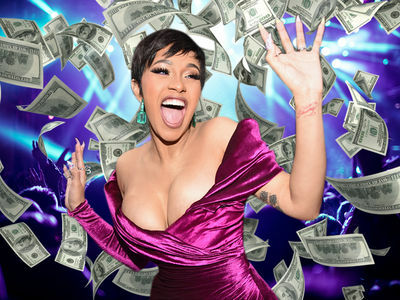 Cardi's not left out either ... he got her named inked on his neck earlier this year. As for the couple's daughter ... we still haven't seen much of Kulture other than her name. Cardi did give us a glimpse of her last week in a pic with Offset ... and also shared a closeup her baby's lips on an Instagram story. But, that's about it. Still waiting on the big reveal, but for now ... we'll have to settle for tattoos.